It brings a ton of engine innovations, including a new multiplayer animation system that completely overhauls the previous one, as well as improvements to the way multiplayer servers work and also better support for Steam Controllers. 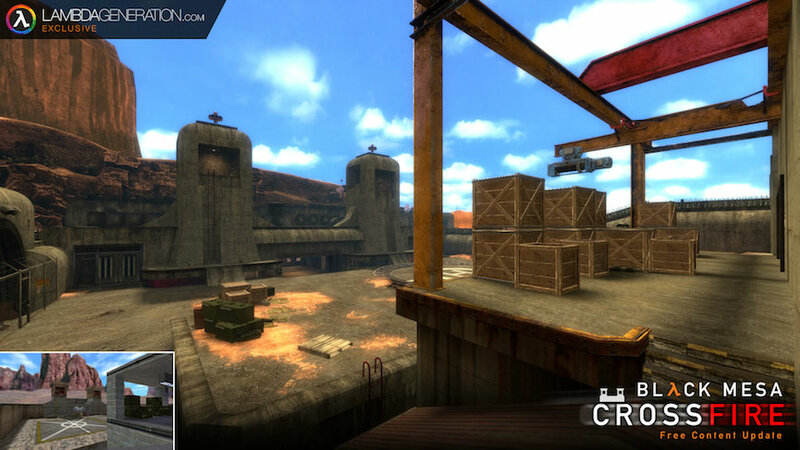 The main emphasis of this update, though, is the re-imagination of the popular Half-Life Deathmatch map, Crossfire, which the team previously confirmed was in the pipeline. (Click the images for full-size). 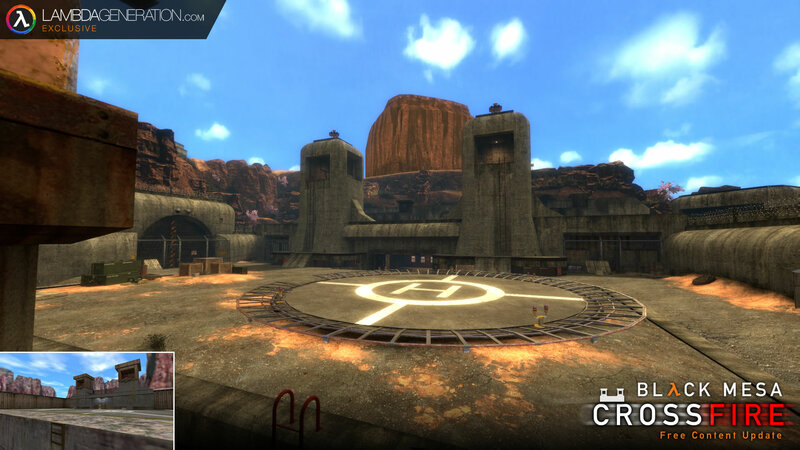 Like Black Mesa’s adaptation of Gasworks, Crossfire is a multiplayer map based on the original by Valve veteran Dario Casali. The main feature of the map is a bunker that the player can lock down from the inside. They then press a big red shiny button that nukes everyone else that got left out. 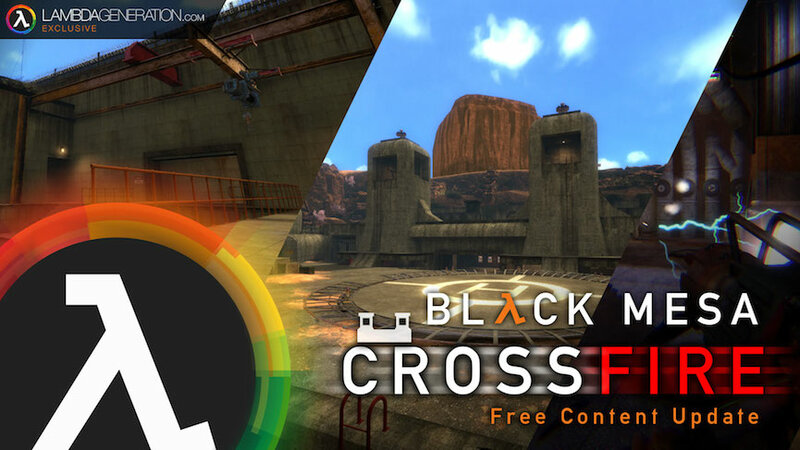 It’s Source successors are Run Off for Half-Life 2: Deathmatch, also created by Casali, the Opposing Force 2 mod’s own remake and now Black Mesa. 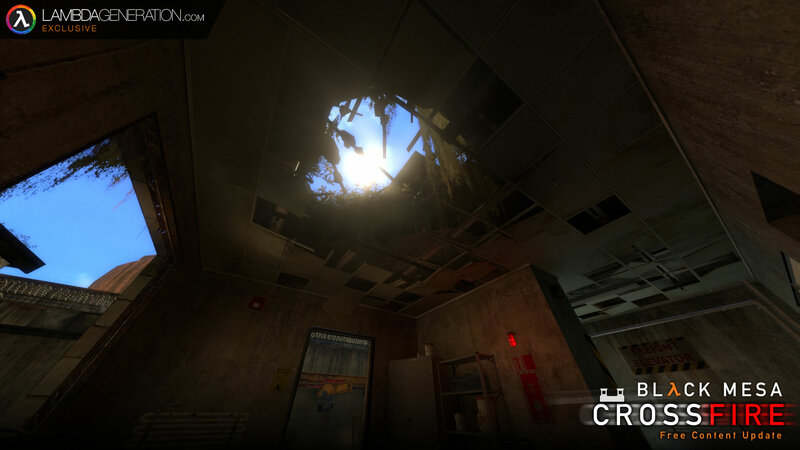 The update also adds three previously released maps, Chopper, Rail, and Power to the official map list. 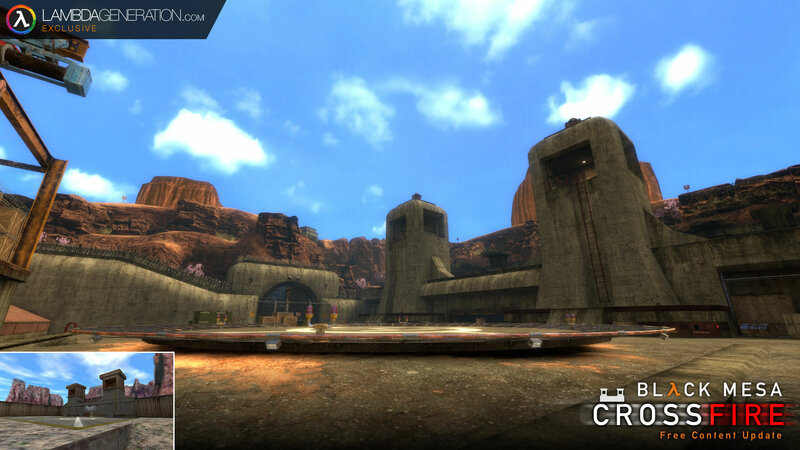 Stalkyard is getting a facelift, too. 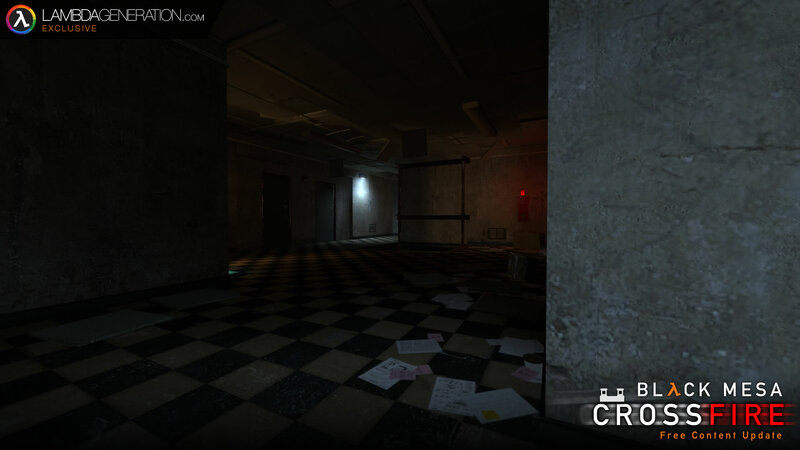 There will also be some minor model fixes. The shotgun, crossbow, egon, and rocket launcher all get improvements, and G-Man has better hands. 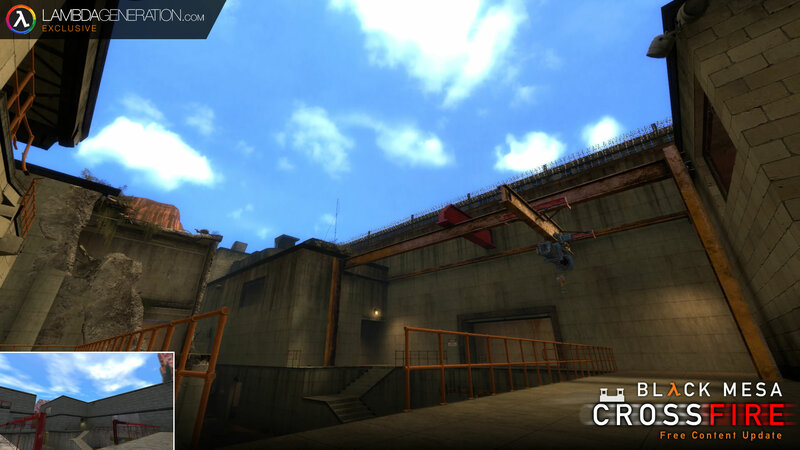 The Tau Cannon will also be able to do ‘wallshotting’, which, for anyone who remembers the original Half-Life Deathmatch, is the ability to overcharge the Tau and fire through walls in the map. It will now penetrate thin walls, split into weaker beams and scatter damage on the other side. Improvements are not just visual. Server features got upgraded as well. Score is now saved for when a player leaves and then rejoins a match. Teams can also be locked for competitive sessions. 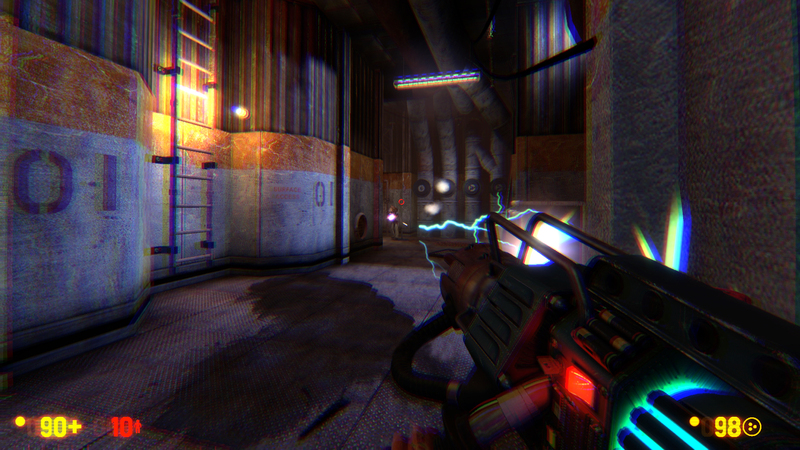 Players will be further encouraged to start creating their own content for Black Mesa. There will be a brand new user-content creation tool and the Black Mesa Steam Workshop will no longer have a mod size limit, making the possibilities endless. So when will this update be coming out? We can’t say the date, but we can confirm it will be soon. 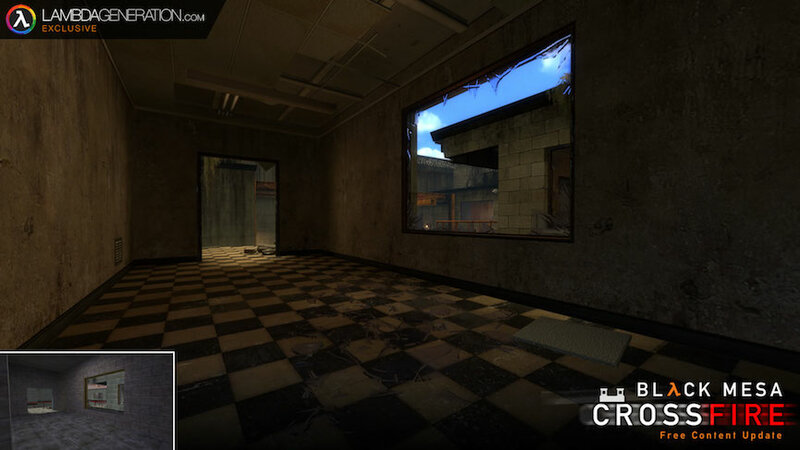 We can also reassure you that the Crowbar Collective team plan on remaking the entirety of the original Half-Life storyline evenutally, including all of Xen and the part-cut Surface Tension. More on that to come. 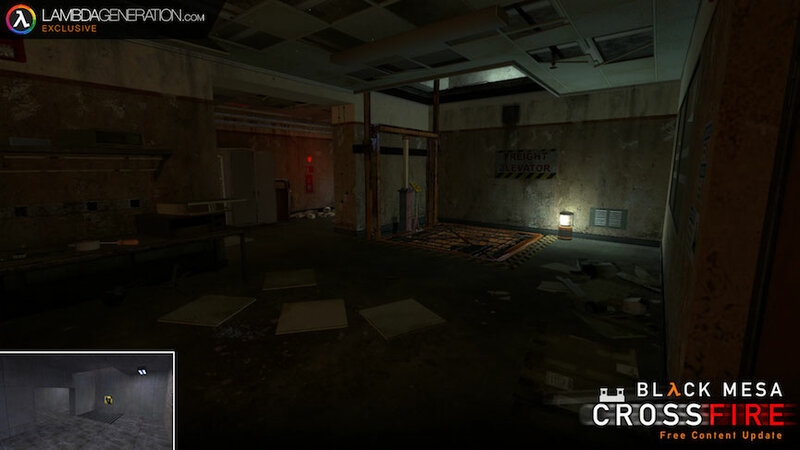 If you haven’t got the game yet, you can grab it on Steam. Make sure to Follow @LambdaGen on Twitter and Subscribe to our YouTube Channel for more news. You should probably clarify that Xen is NOT going to be included in the particular content update detailed in this article; it’s still in development. It’s likely that the uncut Surface Tension will be but I haven’t seen confirmation from the developers. This is called the ‘Crossfire Update’, not the Xen Update. and also Black Mesa have not said anything about Xen being released anytime soon (although confirmed in development), so that’s purely you’re own assumption. But they started charging for the early access version that has zero new features and now they’re previewing content that has nothing to do with what people paid for. You don’t see how that would seem frustrating to some? I don’t see why. It’s extra content that’s being added for free for that version. It’s not DLC, it’s an update. And when it was released back in May, the Early Access version already had a LOT of improvements compared to the mod “Legacy” version – from new A.I. to lots of new models, viewmodels, Multiplayer(!) among others. Sounds like you misread my post. I am well aware that Xen is eventually coming but not in the December update. The problem I had with the article is that the way the last paragraph is worded might be misinterpreted by some to mean that Xen is coming in the next update and they should clarify this. So I’m not sure what you mean by “my own assumption” since you seem to be making the exact same point I was: Xen isn’t in this next update. As for Surface tension, we have info on that to come!